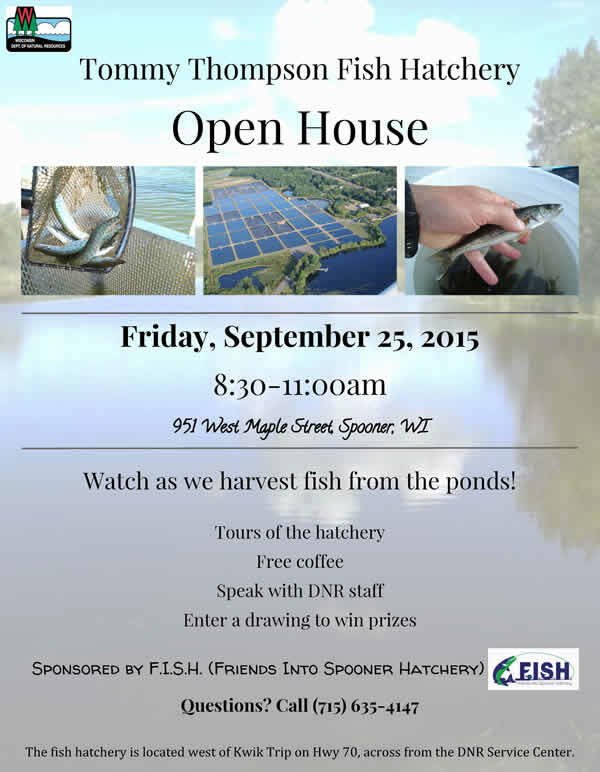 There are so many reasons to become a member of the Friends Into Spooner Hatchery (F.I.S.H.) group! Whether you’re a seasoned angler with many years of fishing experience or a kid with a healthy quantity of curiosity, FISH is for you. All membership proceeds help fund the fun of fish and fishing. We use these membership monies to improve the visitors center at Governor Tommy Thompson Fish Hatchery in Spooner. Our goal is to encourage education and awareness of the awesome fishery contained within the borders of Wisconsin. You can become a member by filling out the Online Membership Form and paying with your credit card.